Coming to Tofukuji Temple (東福寺) was actually an afterthought as we had time since our visit to Fushimi Inari Shrine concluded early. But after coming here, I regretted not making it one of the key attractions to see while in Kyoto so that more time could have been allocated to explore this massive religious site. 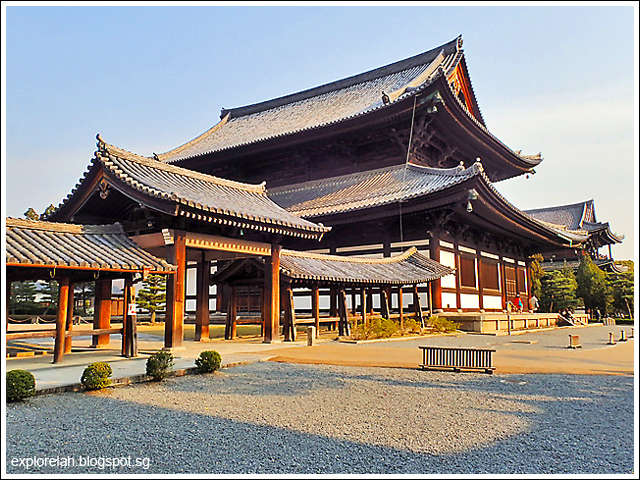 While Tofukuji Temple may be the main prayer hall, its vicinity consists of a large collection of shrines and spiritual houses distributed over an extensive plot that could very well contain a small town! 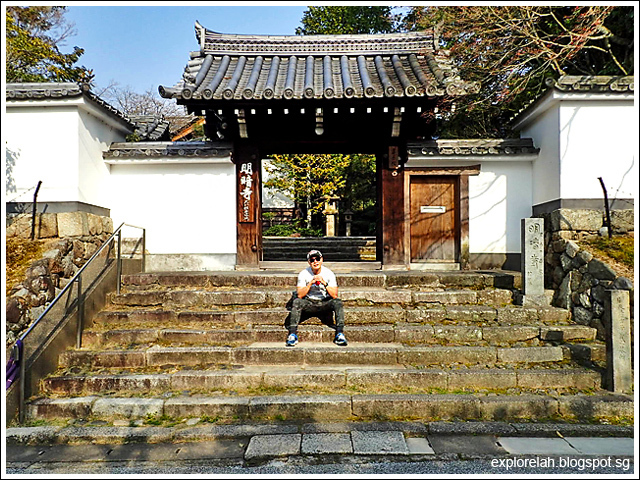 At the steps of one of the shrines we encountered as we made our way towards Tofukuji Temple. 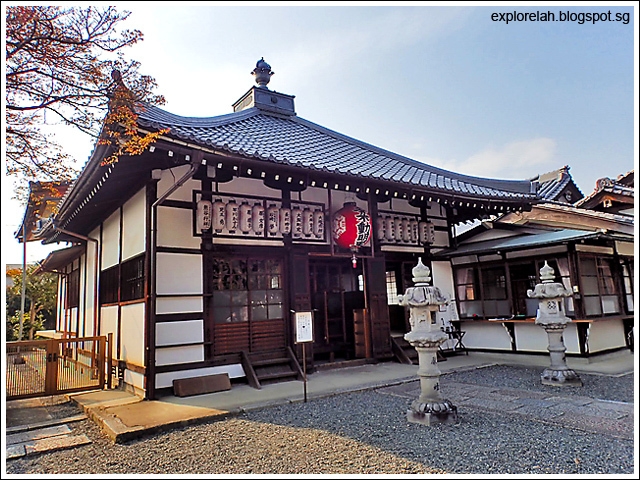 Not knowing what Tofukuji Temple looks like due to a lack of prior research, we found ourselves guessing if every spiritual building we encountered along the way is Tofukuji Temple. 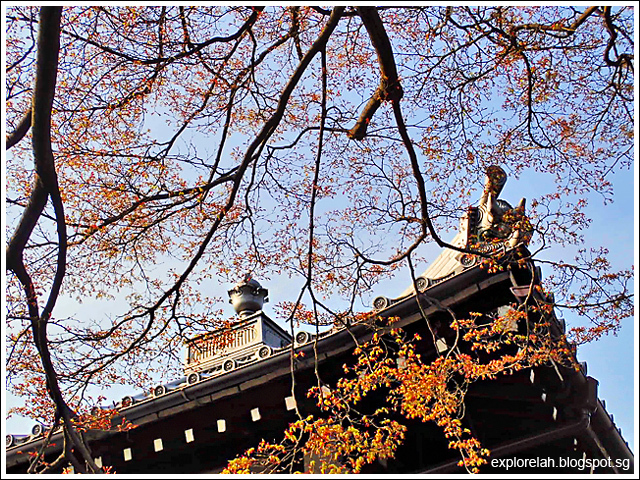 Looks like autumn or the beginning of spring touching the roof of a minor shrine within Tofukuji Temple's compound. 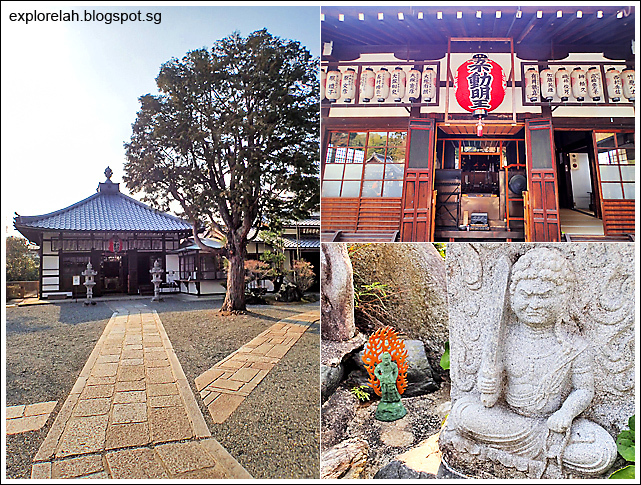 A series of smaller shrines dot the huge grounds that belong to Tofukuji Temple. Some of the shrines are off limits while others allow visitation and are functioning prayer houses for devotees. 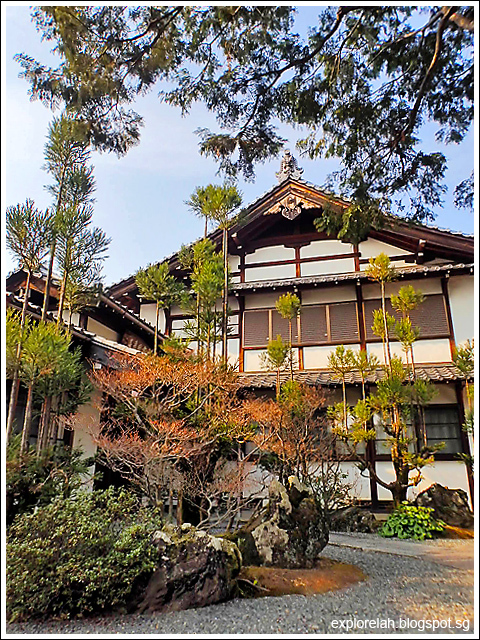 After about a 20 minutes walk from the train station and passing various minor shrines, we finally got our first glimpse of the main buildings that make up Tofukuji Temple. This valley of maple trees and shrubs is a popular autumn spot where crowds gather to watch that season's colours. 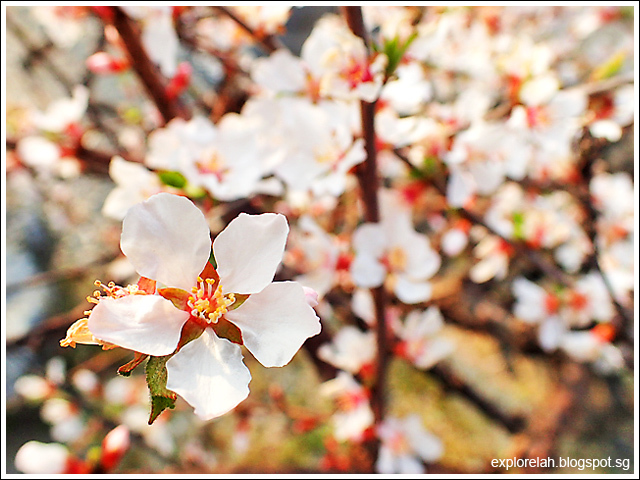 We came during the awakening of spring and the bald branches have yet to grow a new leafy coat. 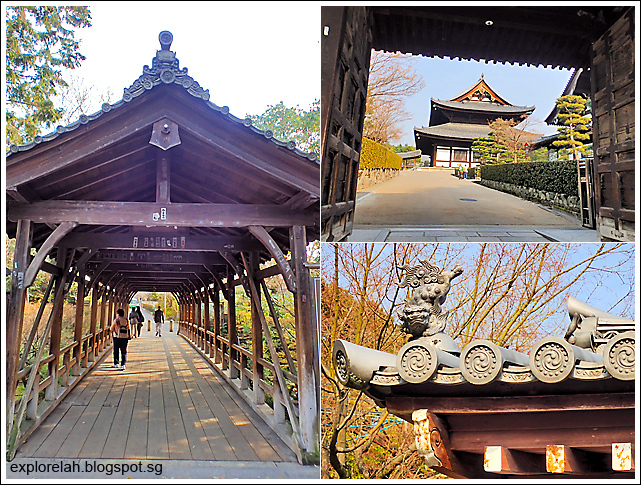 We were walking blind on the grounds of Tofukuji Temple since there weren't prominent signs pointing the way but we found the entrance to the main temple after crossing a wooden bridge that could very well have been a tunnel that led back in time! 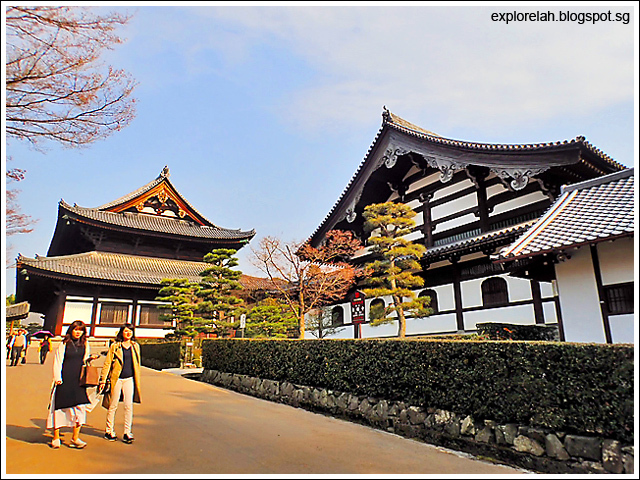 Passing through a gate, we arrived at the massive Tofukuji Temple and its peripheral buildings. 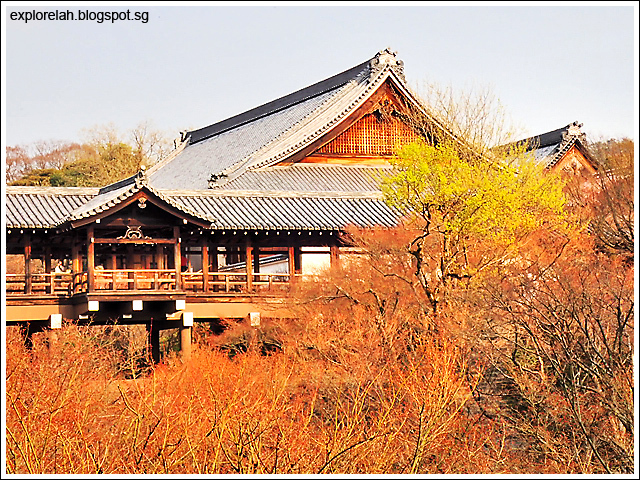 Tofukuji Temple was founded in 1236 and is a temple that honours the Zen aspect of Buddhism. 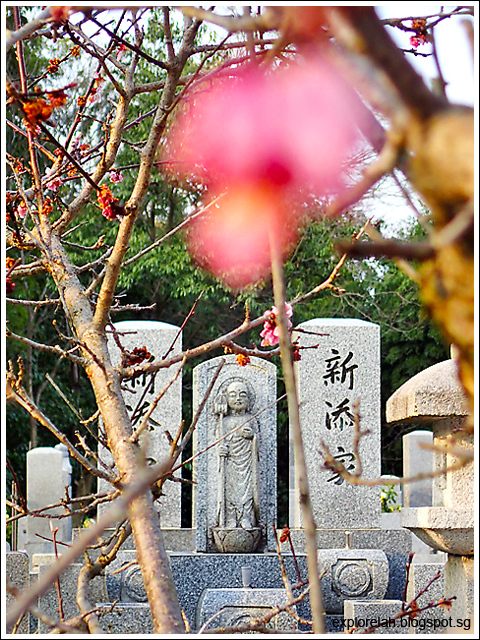 Zen is a school of Buddhism with Taoist influence that became a pillar of the religion. Zen Buddhism emphasises the practice of meditation over the ritualistic worship and study of Mahayana Buddhist scriptures. 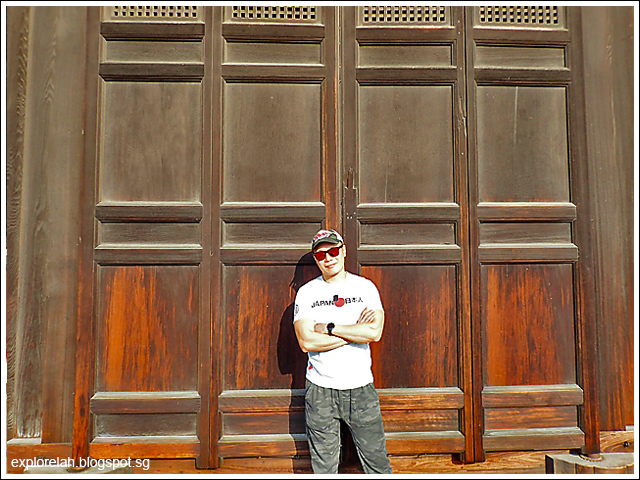 Putting a scale to the gigantic doors of the main hall (hondo) of Tofukuji Temple. 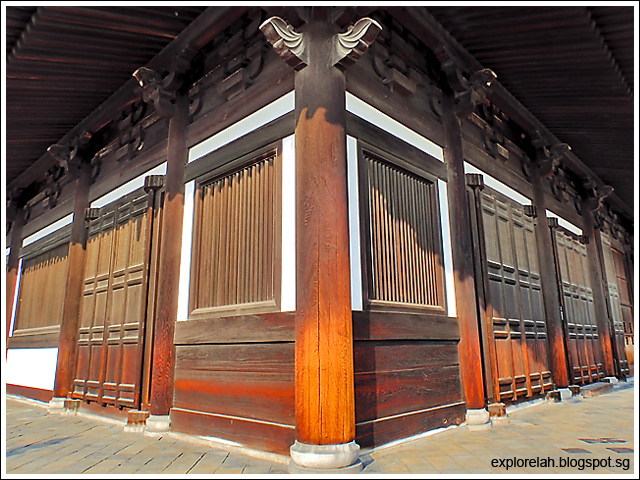 A peek inside the main prayer hall of Tofukuji Temple. The ceiling artwork looks like a painting formed by soot. 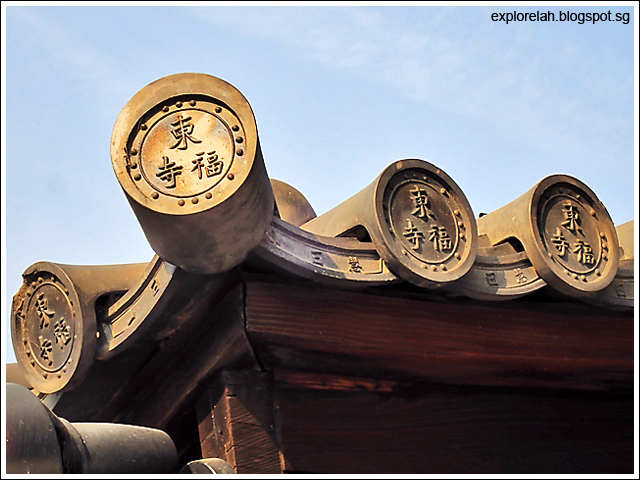 Circular decorative roof tiles at Tofukuji Temple. 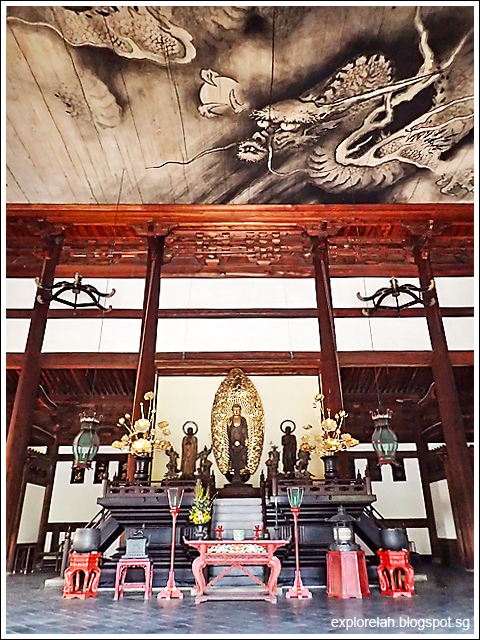 An exhibition hall at the temple grounds. An entrance fee is applicable to step inside. 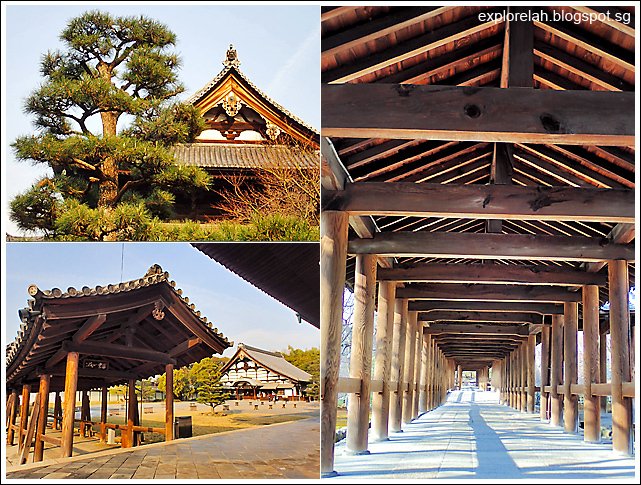 General shots of scenes at Tofukuji Temple grounds with a perspective shot of the Tsutenkyo Bridge (通天桥). It costs ¥400 to go on the bridge to look out over a valley of trees but we gave it a miss as we arrived close to closing time and wanted to see the other parts of Tofukuji Temple. 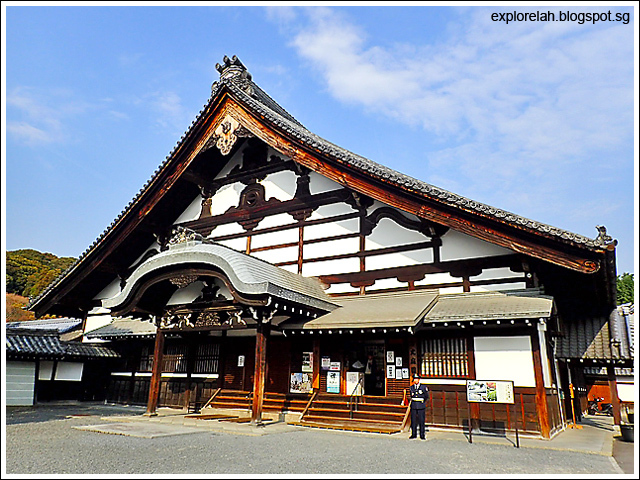 To one side of Tofukiji main hall is this equally imposing structure. 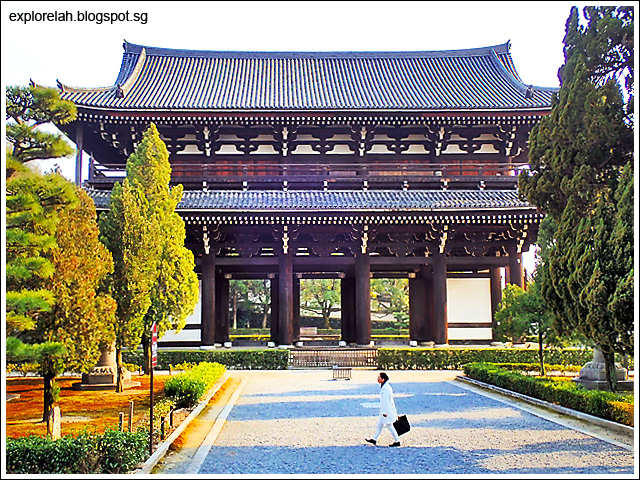 Dating back to 1425, this gate known as the Sanmon Gate is the oldest Zen gate of its kind. 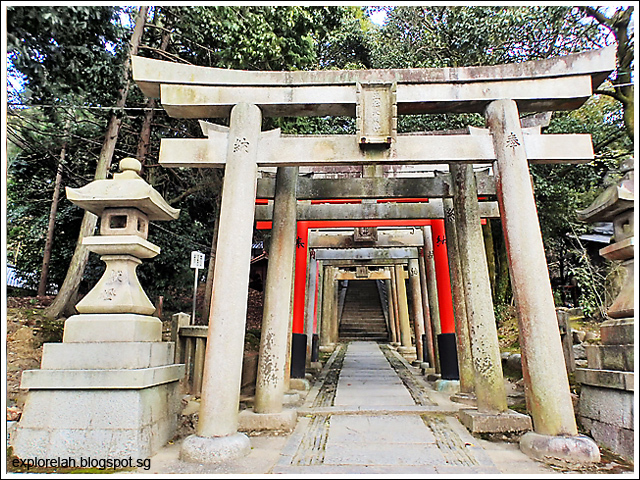 Tucked into one corner behind the main prayer hall is a series of torii arches. Taking a path a distance from the torii gates, we found ourselves at a backyard cemetery! Yikes. 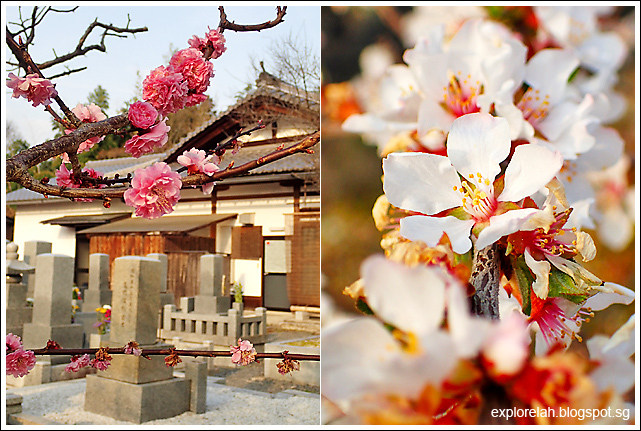 Fresh blooms of sakuras contrasted with the concrete finality of death.